Whether you’re searching for an all-around work truck or an efficient midsize pickup, the 2019 ChevySilverado1500 and 2019 Chevy Colorado fit the bill. The experts at Mike Anderson Chevrolet of Merrillville near Gary, IN,compiled the information you need to know about these rugged trucks to make your decision easy. Check out our all-newSilverado 1500 and Chevy Colorado inventories to find the trim for you!You can also learn more about theChevy Silverado 1500 and Chevy Colorado in our model research hubs. Please direct all questions regarding new Chevy Silverado 1500 and Colorado differences to a Mike AndersonChevroletrepresentative by calling (219) 947-4151 or fill out our online form. For the purposes of this comparison, we’ll be looking at the 2019 Chevy Silverado 1500, starting at $28,300MSRP, and the 2019 Chevy Colorado, starting at $20,500 MSRP. While the 2019 Chevy Silverado 1500 and Chevy Colorado are flexible, each truck was built with a different needinmind. The all-new Silverado 1500 is a full-size pickup designed to maximize performance and work ability, makingyourtoughest jobs easier. The 2019 Chevy Colorado is a midsize truck where work meets play. This pickup was built forthecommuter looking to tackle small projects on the weekend. View engine options below to determine which pickup truckbest fits your performance and horsepower (HP) needs. 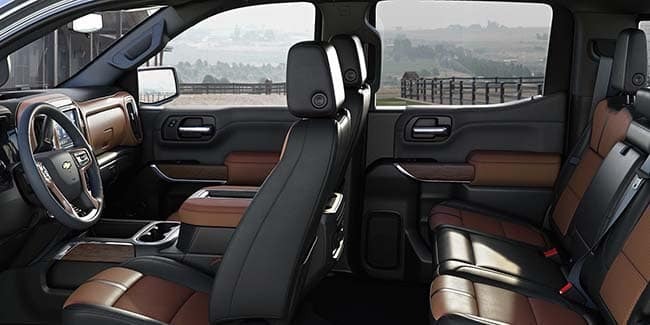 Relax and unwind in the spacious cabins of the 2019 Chevy Silverado 1500 and Chevy Colorado. These pickups areequipped with the creature comforts you deserve after a long day of hard work. Browse available interior amenitiesofboth trucks below. Staying connected while on the road is crucial for modern drivers. Don’t miss a beat with the 2019 ChevySilverado 1500 and Chevy Colorado! These reliable trucks are packed with the latest technology to keep you in theknow. 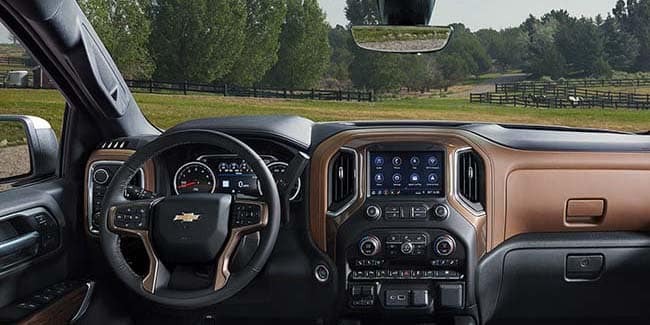 View a few of the available high-tech features in the all-new Chevy Silverado 1500 and 2019 Chevy Coloradobelow. One of the most important features in your new truck is safety. 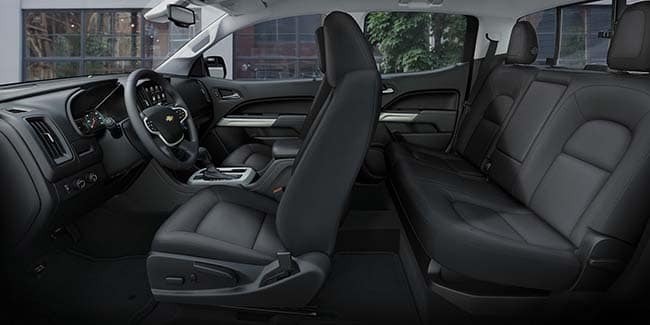 In order to protect what matters most, the newChevySilverado 1500 and 2019 Chevy Colorado both offer a comprehensive suite of safety options. 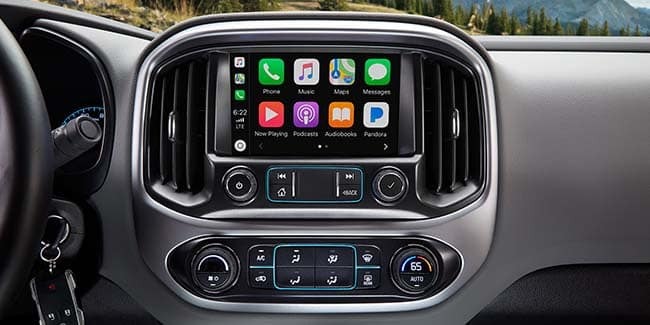 View available safetyfeatures on the 2019 Chevy Silverado 1500 and Chevy Colorado below. If you’re ready to add style and proven durability to your daily grind, check out the 2019 Chevy Silverado1500 and 2019 Chevy Colorado. Browse the Chevy Silverado 1500andChevy Colorado inventories at MikeAnderson Chevrolet of Merrillville near Gary, IN, to find the trim that’s right for you. Then, scheduleatest drive to experience the capable handling of these two pickup trucks for yourself. To learn more about the Chevy Silverado 1500 versus Chevy Colorado, contact a Mike Anderson Chevrolet productspecialist by calling (219) 947-4151 or fill out our online form.